Your website does not need to outrank the entire world. For your medical website to succeed, it needs only to outrank the websites of your competitors who share your geographic location, in other words, the zip codes of the communities you serve. This post corresponds to our latest podcast episode of “Russ and Randy” – a podcast on Healthcare and Medical Internet Marketing. 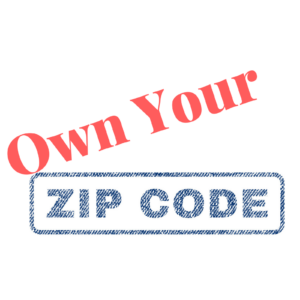 We hope you like “Own Your Own Zip Code.” You can find us on iTunes, Libsyn , Stitcher…and now, ReachMD.com! In this episode we are stressing that you need only to achieve high local rankings for you to have a successful marketing strategy AND that you will be surprised how few competitors you actually have online. The bottom line, marketing your practice/hospital/organization is easier to achieve than you think. By searching locally, adding the zip code for example, search engines will first present only those sites that meet the search requirements…including geographic location. By limiting the search, there are suddenly very few sites which are competing with yours! If you don’t have a website, you don’t exist. So true, if your competitors don’t have a website (or one that is up to date), they don’t exist. On the Internet, your competitors are not every similar specialists in your zip code. You are competing only with similar practitioners who also have as active a site as yours.